You know it's an easy upgrade when you catch it doing it when you go to see where you're at. 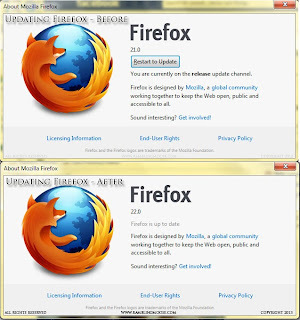 I've been hearing that Firefox has just released version 22. I looked at my version number to check where I'm at and it was in the process of upgrading. If the version is 22.0, it's already been done. 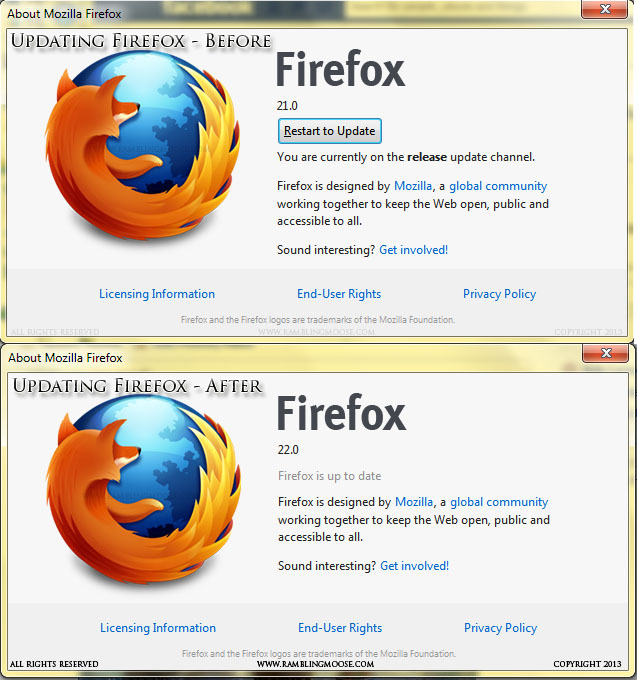 If the version is 21.0 click the appropriate button to update. Mine just needed a "Restart to Update". I'm done. Actually, I used it all this morning and it feels about as fast as before. It does feel a bit more stable. I *think* it is using a little less memory and a little less processor. The laptop feels a little cooler than it had but that could be me just "thinking too much".